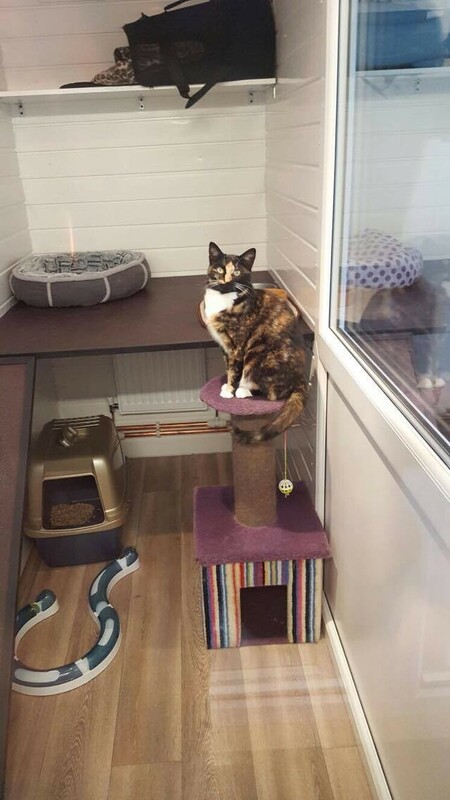 We understand the importance of being able to leave your cat safe in the knowledge that they will be given the very best of care in luxury accommodation, enabling you to enjoy your holiday with complete peace of mind. 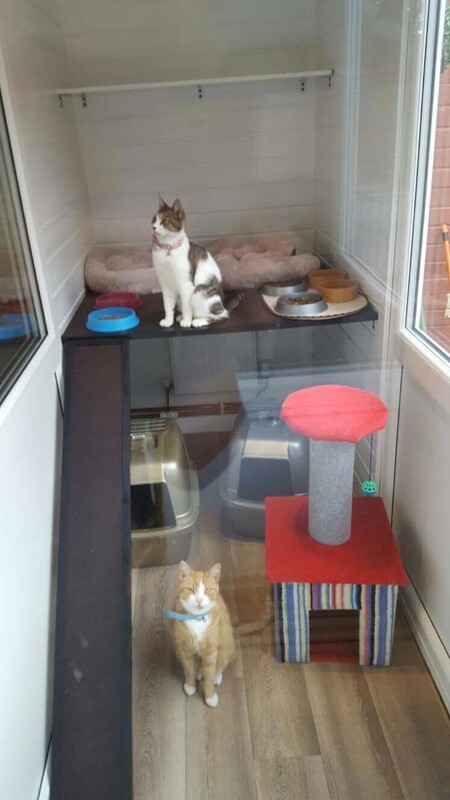 Our 5 * cattery accommodation is all indoors, in a modern, state of the art UPVC building. 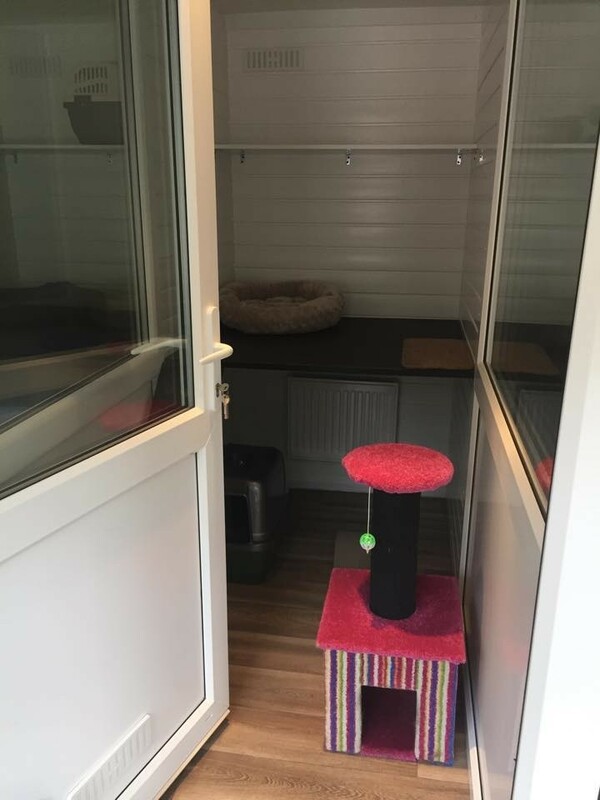 Each cat house is fully insulated with its own full length upvc door. 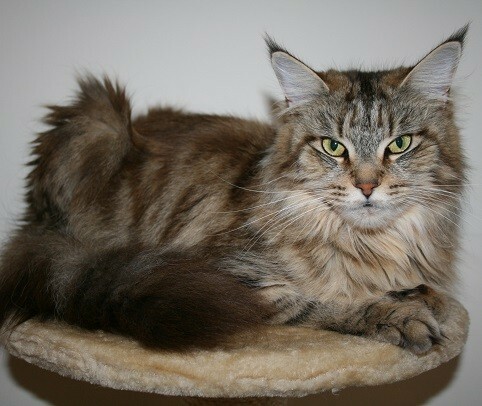 Our houses each have a spacious sleeping/viewing shelf where your cat/s can relax in their soft squidgy bed/s and watch the world go by and then run up and down the ladder if they so wish . 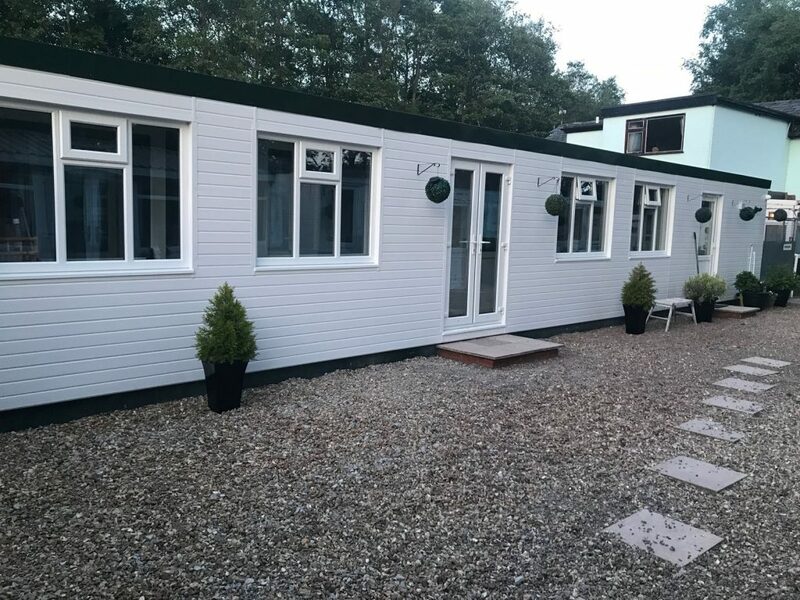 Our houses are roomy and each one has a thermostatically controlled radiator under the sleeping shelf to give your pet a nice, warm, cosy place to lie and of course stretch and obviously a lovely ambient temperature in their own special room. Covered cat loos are provided which afford them their own private moment. We also provide the original type flat litter trays should your cat prefer one of these. 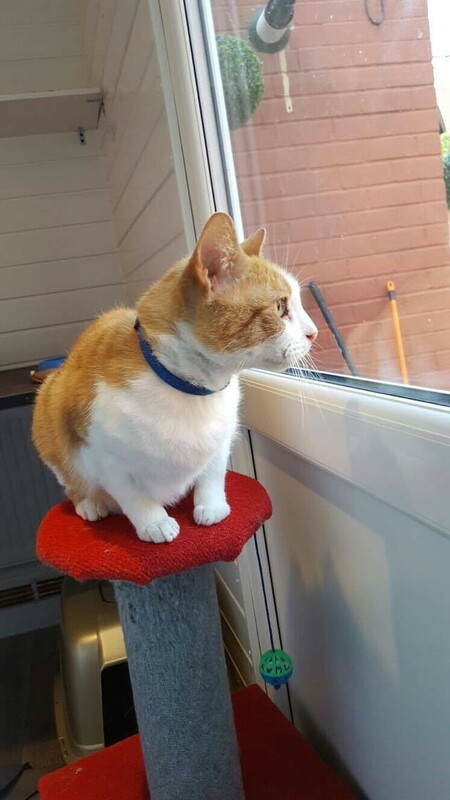 Viewing windows are either side of the cat houses so that your cat can have a good look at what is going on around them and we do have two pens which are quieter for the more reserved cats. Food (dry and wet) is provided for all life stages. 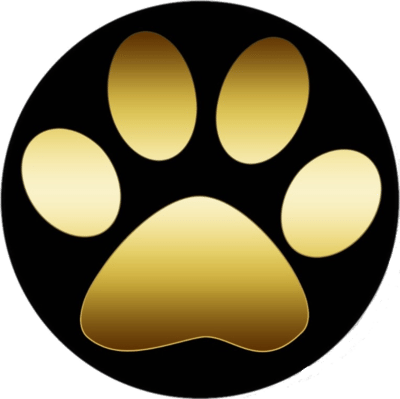 We have our own Chayo brand cat kibble, as well as all the other top brands and all brands of wet food. Dry food is left down all day for the cats to graze at their own speed. You can provide your own food and we would ask that ‘specialist diets’ are provided but unfortunately no reduction in price will be made. 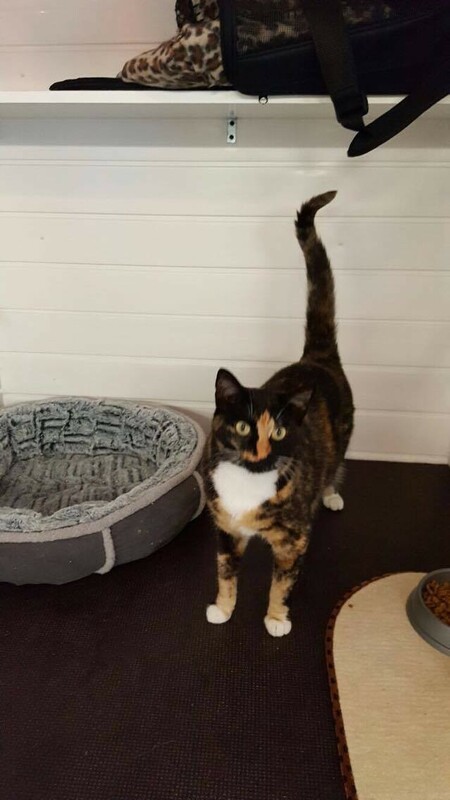 We provide cozy beds, quilted bedding and pet blankets for your cat/s, although you are more than welcome to bring your cat’s own bedding/soft bed if you wish. 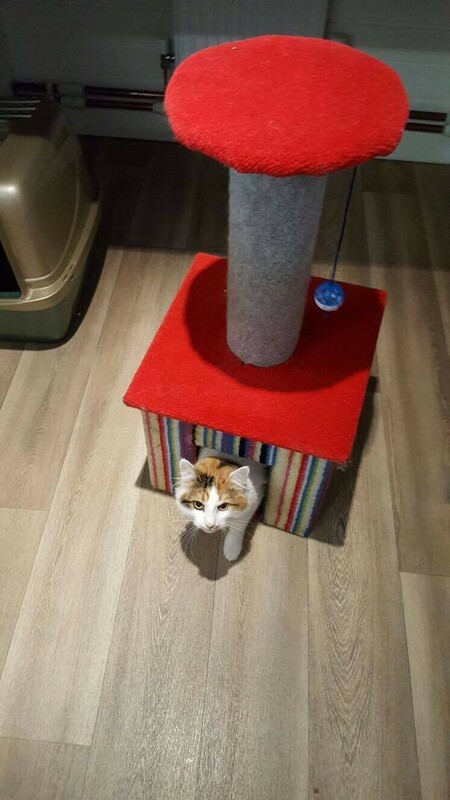 Each Cat House has plenty of room with a fun cat tree / scratch pole and an interactive toy for their enjoyment. Again, you may bring any other toys etc to make your pet feel at home. 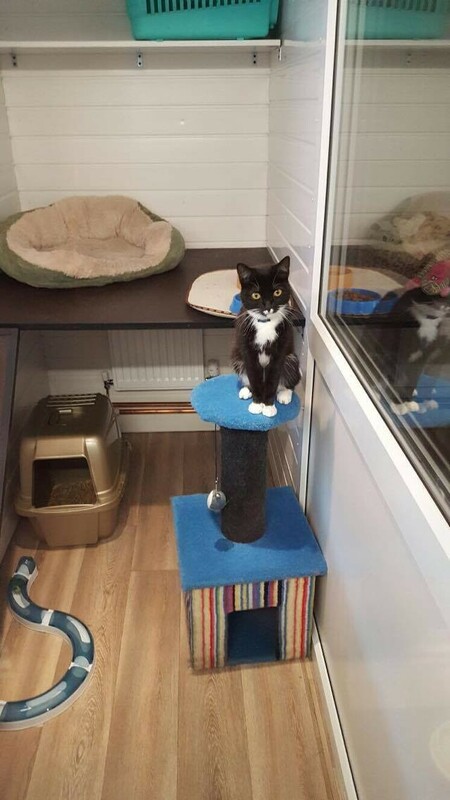 We have dimmed lights on in the cattery at night to reassure your cat. 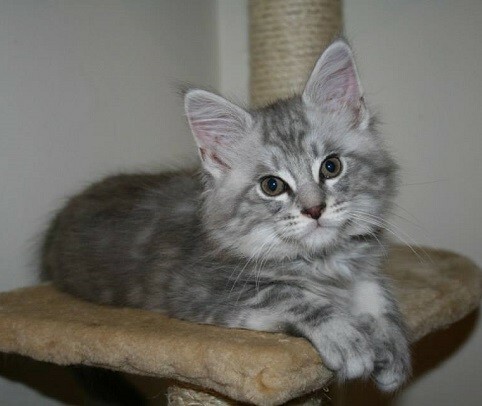 We are here to make your cat’s stay enjoyable so if any of the above are not suitable and you require something different, then if we are able to, we will endeavour to help as much as possible.